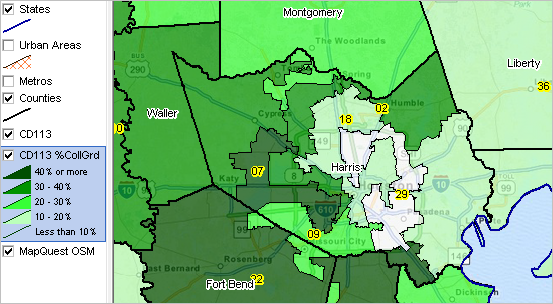 This view shows percent college graduates by congressional district (yellow labels) in the vicinity of Houston, Texas (counties bold black; county names shown as labels). The thematic pattern shows item S067 shown in the interactive table below. Click graphic for larger view and details.